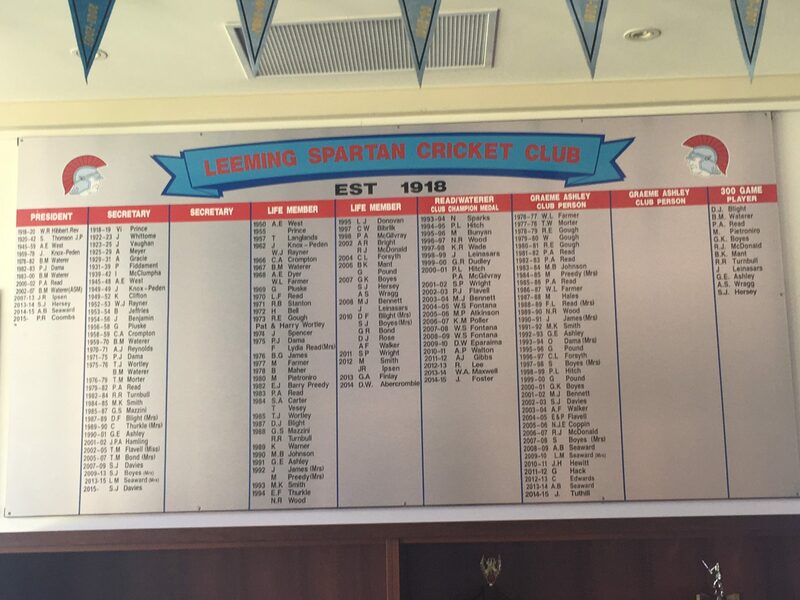 The Leeming Spartan Cricket Club has acquired an illustrious list of fine individuals who have greatly helped the success of the Club over the last 100 years. Listed below are our honour boards and list of award winners, which are also located inside our John Connell clubhouse, along with links to the various pages detailing those outstanding Spartans who have dedicated countless hours to the Club. 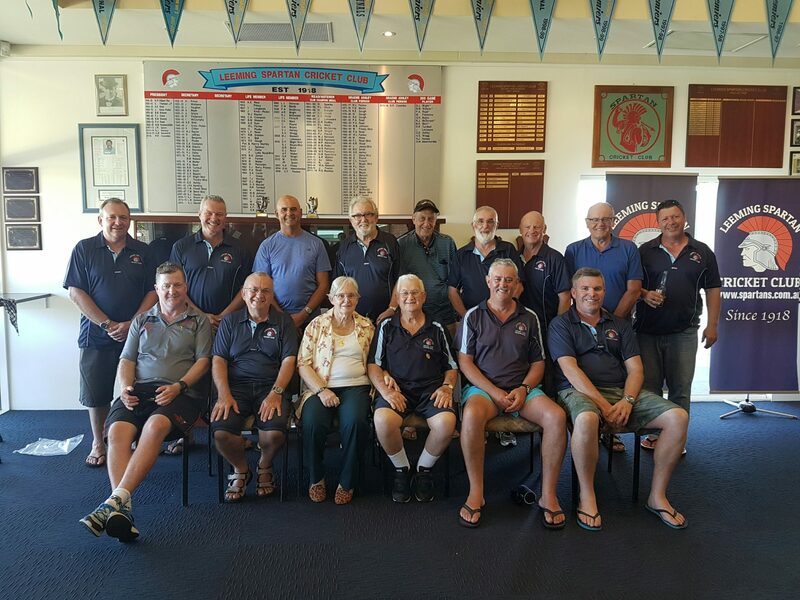 Some of our Life Members pictured together in early 2017. Many feature more than once on our honour board, which is visible on the wall behind our Life Members. The seven most recent Presidents of the Leeming Spartan Cricket Club, pictured together at our clubhouse in 2017. 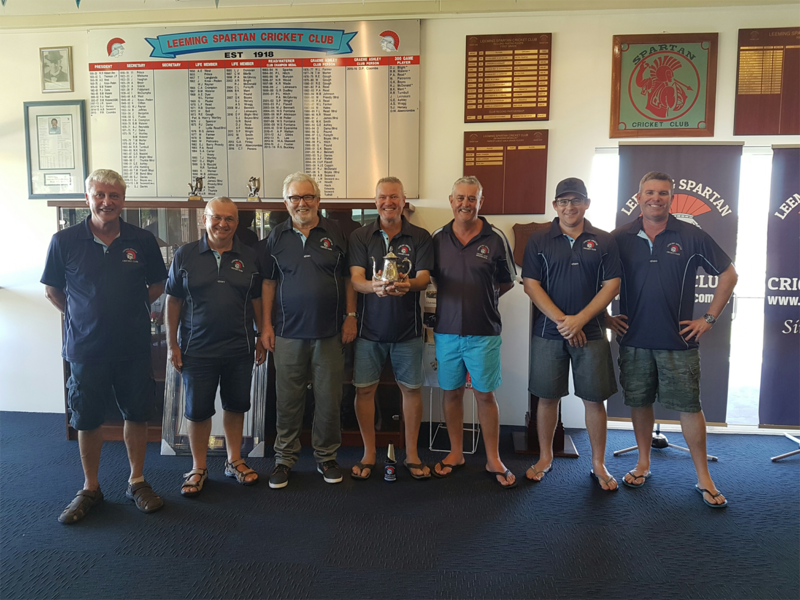 Front Row: Peter Coombs (11th President), Peter Dama (6th President), Brian Waterer (5th President), John Ipsen (8th President), Peter Read (7th President), Adam Seaward (10th President), and Shayne Hersey (9th President). 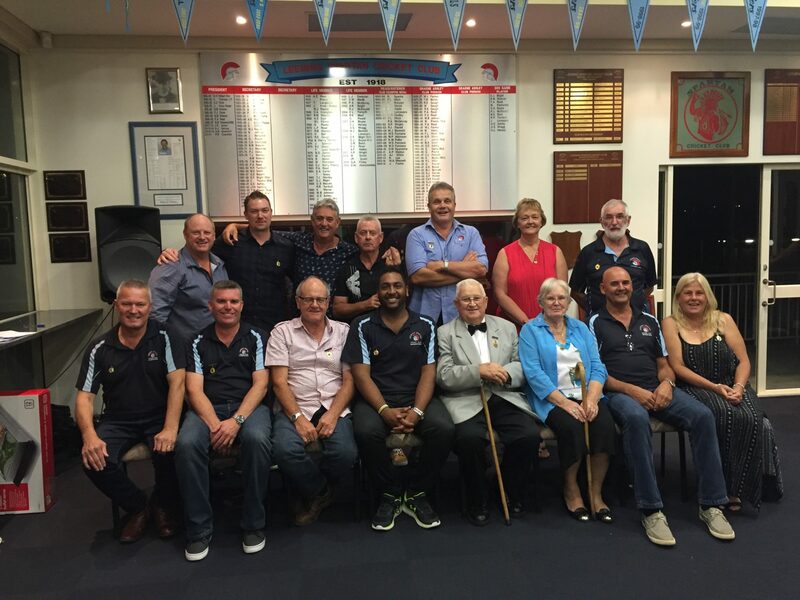 Some of the Leeming Spartan Cricket Club Life Members gathered together at the 2016 Windup to celebrate the most recent inductee, Craig Pereira. The Leeming Spartan Cricket Club Honour Board as it looks today. This photo was taken in 2015, and has since been updated with new entrants in the last four columns.